Paperback; 165 pages. 2008. 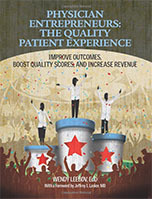 Built around the key areas in the CAHPS survey, this book and tool-packed CD offers quick and easy techniques that physicians and practice staff can use to enhance the patent experience—without sacrificing productivity.